Originating from the Dutch for 'last orders' the Royal Edinburgh Military Tattoo developed into a ceremonial form of evening entertainment performed by military musicians. 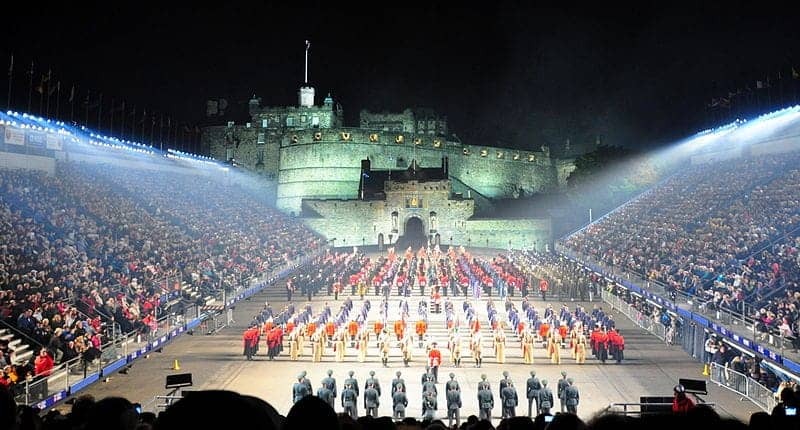 The British Armed Forces, Commonwealth and international military bands and display teams sell out a show at Edinburgh Castle Esplanade every August to an audience of more than 200,000 people. it is televised in over 30 countries.